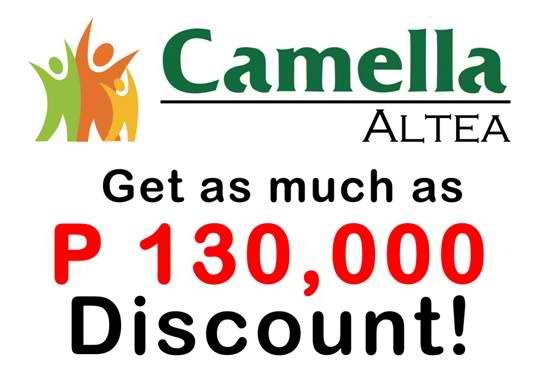 "BIG DISCOUNT" up to Php 500,000.00 in Camella Silang project only until August 15, 2013. 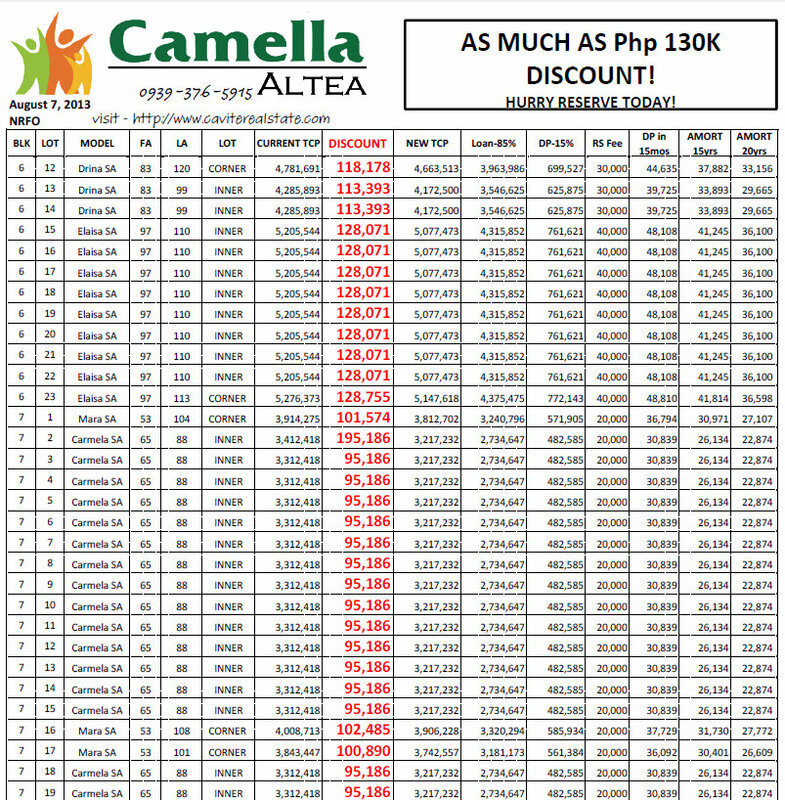 Price List as of August 8, 2013. 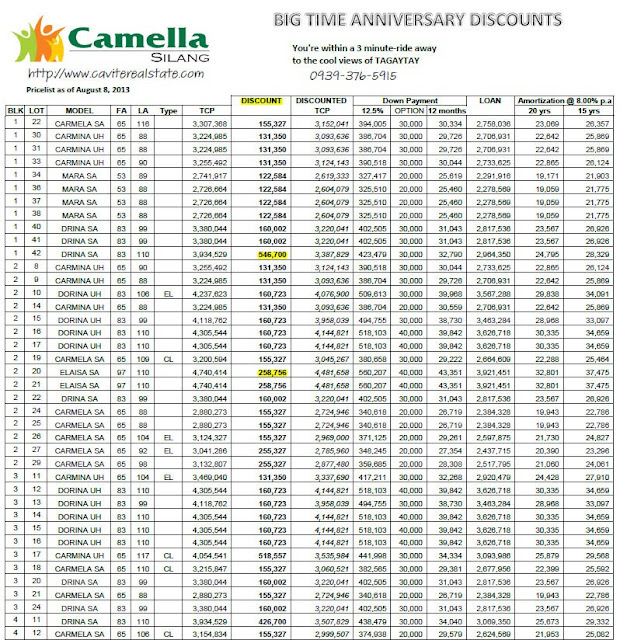 Camella South A Vista Land Company, 2013 Reader's Digest Most Trusted Brand A Gold Standard and the Number 1 Housing Developer based on Collier's International Philippines. The most preferred brand by BC socioeconomic class based on Philippine Survey Research Center. But there's more from Camella Altea up to Php 130,000.00 limited promo discount and now with a new home line-up . 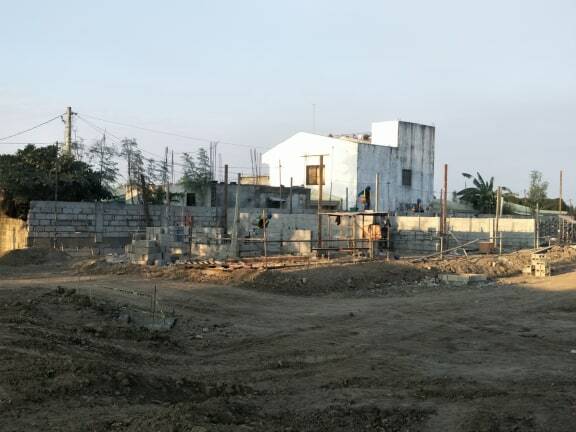 1) Monthly amortization should not exceed 30% of applicant's gross monthly income (for bank financing). 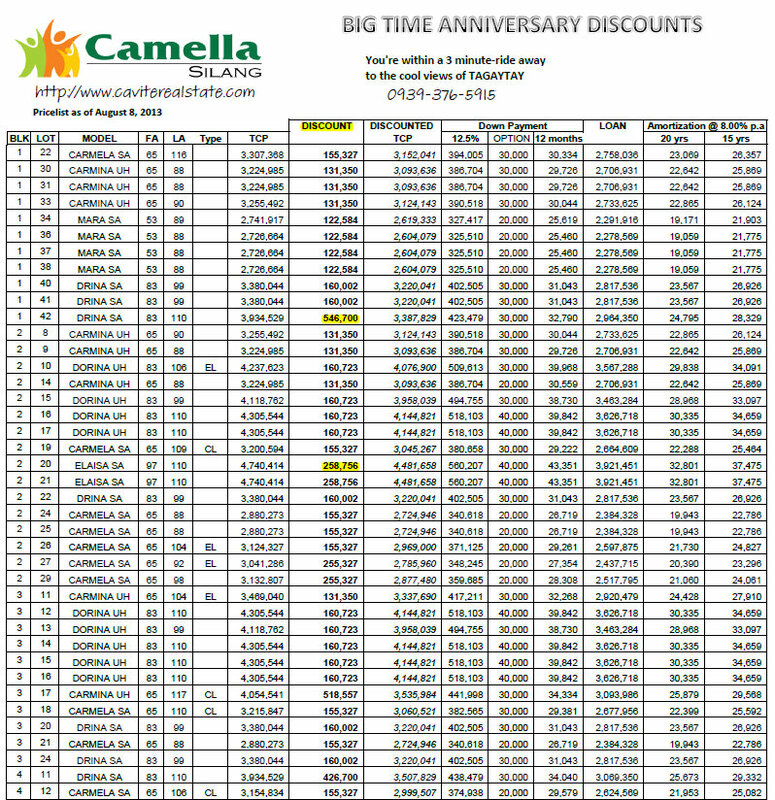 2) Price may change without prior notice.